Since 1981, Alderwood Landscaping & Construction has been serving Western and Eastern Washington and Northern Idaho by guiding folks through our unique and seamless design/build process. From concept to construction, our multi-disciplinary team of professionals helps you design and create beautiful landscapes that realize your vision while maintaining timelines, budgets, and the natural beauty of your surroundings. 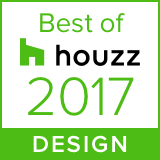 Anything but traditional, we have curated the finest talent in the Pacific and Inland Northwest and approach landscape architecture in a unique way. Bold, creative ideas from you blends with our designers’ expertise and innovation to create immersive outdoor spaces that are truly personalized backyard resorts. Together, we create an environment you can truly call your own. It’s your world, let us create your paradise. In short, our landscape architects help you design your perfect backyard. Landscape architecture as a profession covers a huge spectrum, perhaps best understood by the mantra, “Achieving a balance between the built and natural environments.” It requires a multidisciplinary approach involving environmental science, art, ecology, and much more, and leads to extraordinary results. Unlike ‘landscape designers’ that pay for a third party to legally approve designs, our in-house staff landscape architects go through the entire creative process: from concept to permitting to final details.